"The world is at a pivotal moment. There is a line being drawn in the sand with the #TimesUp and #MeToo movements sweeping first the entertainment industry and then spilling out into the rest of the world. 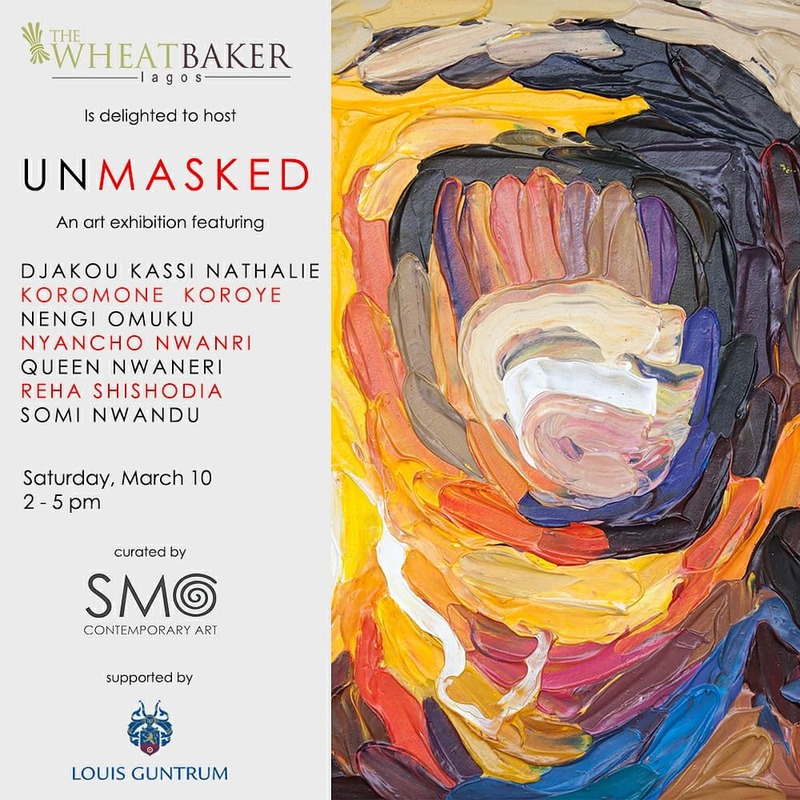 The Wheatbaker is proud to host the third edition of the all-female Standing Out exhibition titled, Unmasked, which is curated by SMO Contemporary Art and honors women across the globe. The exhibition explores women’s mental health through 35 paintings, photographs, digital art, ceramic sculptures, poetry & spoken word performance and a large multi-media string installation. The exhibition explores complex questions of identity, breaking down stereotypes, and dealing with societal pressures in the congested, over-populated mega-city of Lagos. The artists explore diverse emotional mindscapes and question what lies behind the mask: how do we break down societal constructs on what it is and what it takes to be a woman in a male dominated society? How do women explore and present their true multi-layered selves, and inspire others to demand for justice, break through glass ceilings, avoid society’s obsession with perfection, tear down walls of shame and guilt, and rip off these stifling emotional masks. Showing: March 11, 2018 to May 4, 2018. Where: The Wheatbaker Hotel, 4 Lawrence Road, Ikoyi, Lagos.